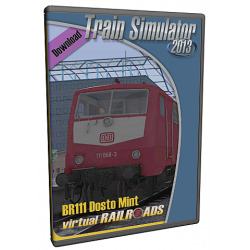 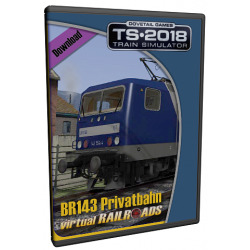 The download package contains six locomotives in orientred liverie, a driving trailer mintgreen, two coaches mintgreen, QuickDrive scenarios, manuals. 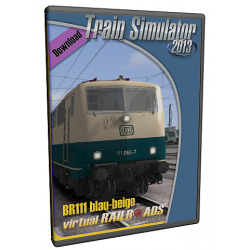 The package contains the locomotive BR111, the BDnrzf driving trailer and the ABn / Bn coaches in trafficred / Regio. 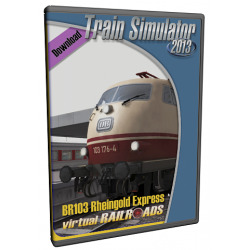 Included are five scenarios for the route Hagen-Siegen and Seebergbahn too. 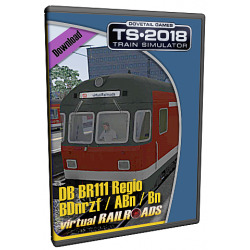 The 2nd class coach has a Passengerview integrated. 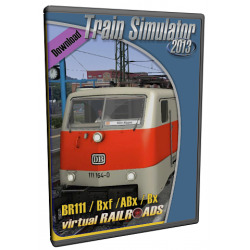 The package contains the locomotive BR111, the Bxf driving trailer and the ABx / Bx coaches in grey-orange. 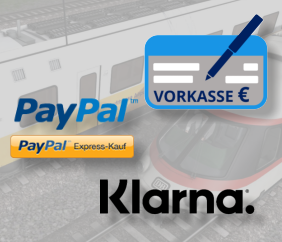 Also included are five scenarios for the route Cologne-Duesseldorf. 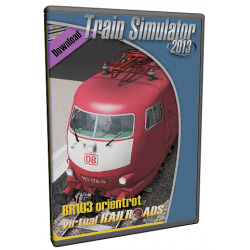 The package includes vehicles used here in Germany from 1983 until 1987 for the Rhinegold Express train.Two versions of the BR103 in beige-red and four coaches in the same colour are included. 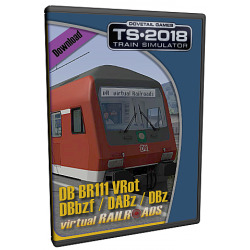 The packages includes a main traffic train used in Germany in the 90s: Two versions of the BR103in orient red colour and four different coaches( open coach, compartment coach 1st &amp; 2nd class, dinner car ) in orient red colour are included too.